Tokyo, November 2013 - Fast Lane Japan received the "FY13 Cisco Japan Partner Award - Learning Partner of the Year” at the Cisco Partner Conference Japan 2013, held in Tokyo, November 26th, 2013. The award was presented to Kazuyuki Sakamoto, Managing Director, Fast Lane Japan. 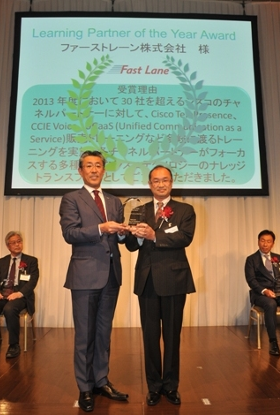 The FY13 Cisco Japan Partner Award recognizes Fast Lane’s achievement and alignment to Cisco as an outstanding Learning Partner in Japan. The reason for receiving this award was that during FY13, Fast Lane delivered a wide variety of trainings such as Cisco Telepresence, CCIE Voice, UCaas (Unified Communication as a Service) to over 30 Cisco Channel Partners. 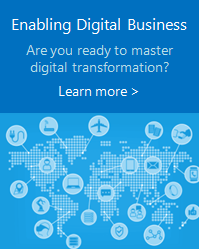 Besides transfering knowledge of Cisco technologies, they also contributed to support each Channel Partner with different focuses and business targets.